1st Monday, New Year, Great Music! | Now Hear This! 1st Monday, New Year, Great Music! I’m gonna go ahead and say I’m really happy we’re in a new year. 2009 was a good one for me, but through the face of adversity. -And we artists face enough daily adversity without the addition of global economic adversity & the adversity of human rights inequality…to name a few. But I’ve found that artists are generally a stubborn and tenacious lot, so my friends and I put it into turbo boost to make ’09 work as a SEED PLANTING year. I’m going to list my 3 favorite ’09 highlights for two reasons. 1. As a wise, past teacher often said, “throw bouquets on your past victories” & 2. In hopes that it will inspire YOU to look at all that was good in ’09 so we can travel together into ’10 with lighter, more victorious hearts. 1. 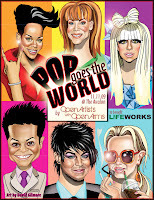 Pop Goes The World! My friends Guy, Kevin, Brad & I mounted the biggest show that I’ve ever been a part of in Hollywood at the Avalon. This benefit concert for LIFEWORKS featured major pop stars such as JoJo & Blake Lewis and was an amazing production! 2. My beautiful & talented client, Carmen Perez, hit number 10 on the pop UK charts with “Emergency”, a song that was co-written by myself, Carmen Perez, Ellis Miah and J & Sweet (Jennifer Lopez’s “Love Don’t Cost A Thing”). 3. Long time friend and artist Darryl Stephens and I have written a feature film with original pop/rock music! I also had the honor of working with dozens of brilliant artists writing songs, developing voices & inspiring confidence. This daily achievement reaches beyond any monetary success that I will achieve in this lifetime! This year will bring a new album, a new single, a new manager. All in the works. My music is placed in film and on TV, my dance single goes top 10 on the Billboard charts & my video is #1 on Logo’s click list. My music will be nationally reviewed and appreciated. I am offered and accept a publishing deal as a songwriter with a substantial advance & earn at least 3 major placements with a major artist/major label. My income as a songwriter is my bread & butter. I continue to write songs to add to my catalogue, develop a system of organization/identification and produce them at a very high, sellable quality. I work with Kara DioGuardi, Linda Perry, Butch Walker & P!NK as a songwriter. My income as a performer is greater than the investment I put into it. I will put together and perform a show of cover songs which sells out MBar in which I sing and play piano for myself. I will be payed to perform at at least 4 Pride festivals. I will perform CD release parties in LA and NYC. My career as a voice teacher/vocal coach will at least double, if not triple in clientele & income. I will do a series of podcasts focusing on specific areas and techniques of singing. I will record and create warm-up CDs for the male and female voice which I will sell online and at various stores. I will be hired as celebrity vocal coach/judge for a major or cable TV reality talent competition. This year’s Open Artists show will feature MAJOR artists such as P!NK, Mary J., Sam Sparro, etc., will be brimming with major celebrities/VIPS & will yield at least a 10K profit for Lifeworks. I will perform at peak health and energy with new, exciting material. Production will be smooth, organized and the energy will remain positive, light and fun. I will work on the set of a major motion picture as vocal coach, music director, and/or vocal arranger. 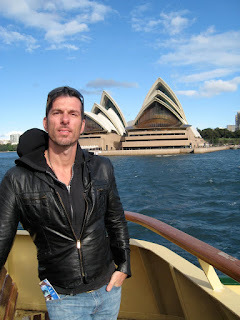 I will be offered & accept a paying tour as music director for a pop band/group. My income will be at least double. I am in a position to buy my first house. I am the happiest, busiest & healthiest I’ve ever been. I fearlessly move forward with purpose. I inspire others to go after and achieve THEIR dreams. I will leave you with a LINK to this fun home video shot by amazing friend and business partner Phoebe Carter & featuring my super-model pit-bull Bella Puccia of my rendition of Hallelujah by Leonard Cohen. What is your 2010 game plan?? This entry was posted on Monday, January 4th, 2010 at 6:42 am. It is filed under General. You can follow any responses to this entry through the RSS 2.0 feed. I tried grabbing the feed for the RSS for your article but it is not displaying in Google Chrome. Does anyone have any ideas?